Got something important you need to say? Better say it in the megaphone! This cool megaphone has a siren mode for emergencies and a voice mode so you can make a big announcement. Be the ultimate superfan at any sporting event with this cool megaphone. Your pup has got the moves and she's certainly as cute as any of the other professional cheerleaders in the NFL. It's time! Dress her up in this Minnesota Vikings Cheerleader outfit and they'll just have to let her onto the field. Even at a gloomy place like Scare U, they know how to have fun! 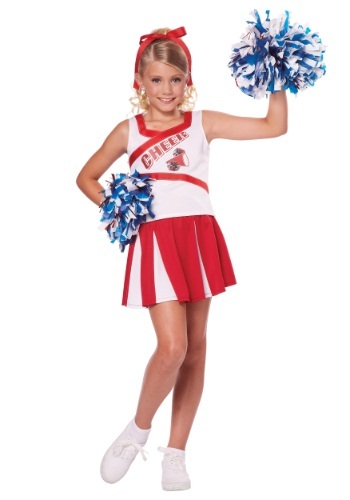 This Scare "U" Cheerleader Child Costume will make your little girl its number-one fan. It doesn't matter what her favorite scary sport is--she'll be all set to cheer for her team. "Brains are gray, guts are red. Cheer for the Rotten U. Undead!" The "U ROT" cheer squad is looking for you. We're looking for the best and the brightest (er, make that, worst & dullest) to join our macabre ranks. It doesn't matter if you're a zombie, ghost, or ghoul, we are accepting all monsters for our nationally ranked cheer squad. If you think you have what it takes, tryouts are next Thursday. In the graveyard. Get ready to scream loud enough to wake the dead! 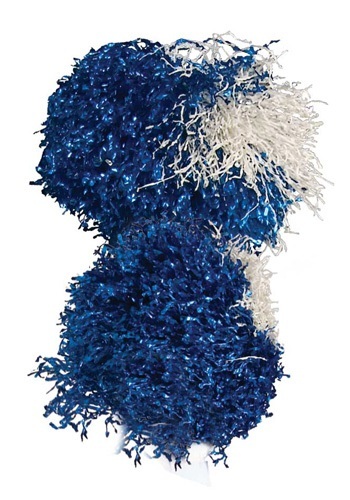 She can be her favorite team's biggest fan in this Toddler Cheerleader Costume! Add anklet socks and sneakers, and she's ready to start practicing her chants and her moves. Go team!